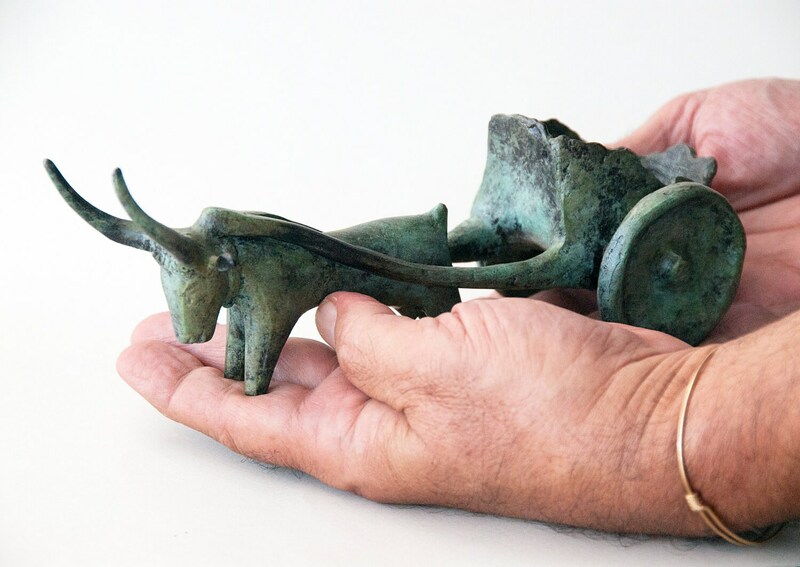 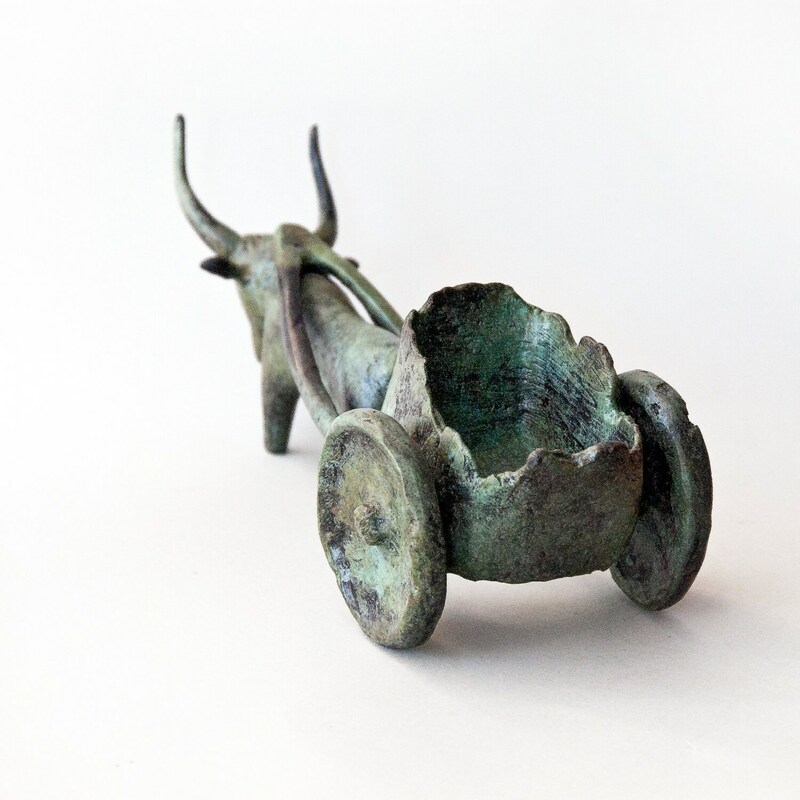 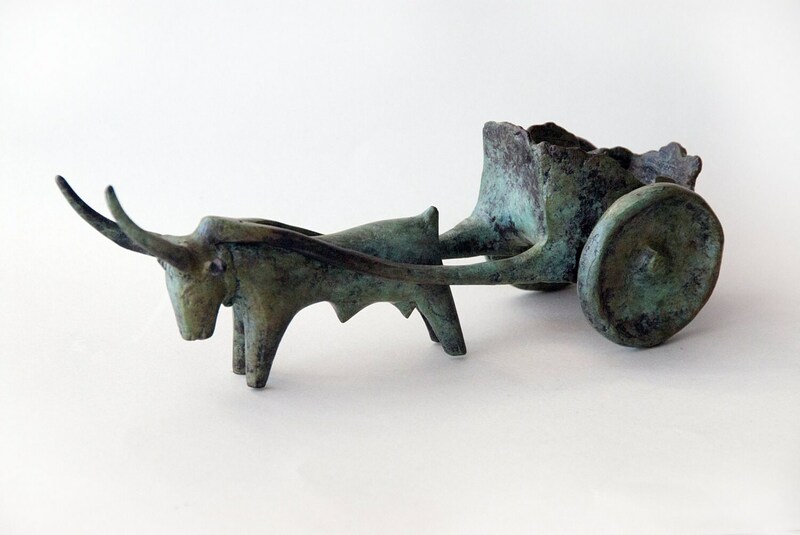 Bronze Ox and Cart Sculpture, Metal Art Sculpture, Museum Quality Art, Collectible Greek Art, Home Decor, Ancient Greece. 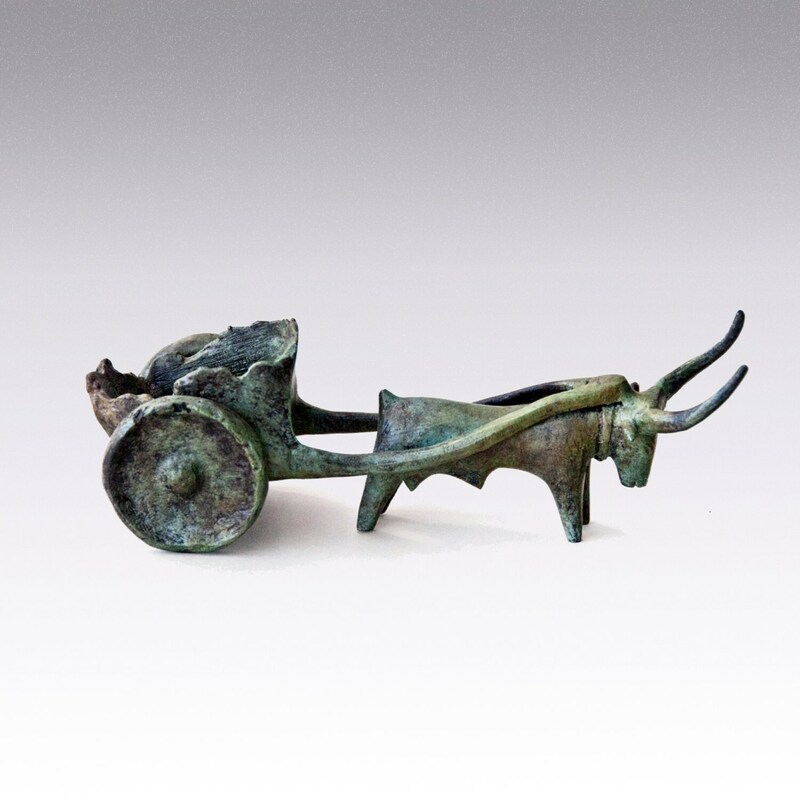 Ox yoked in pulling a cart. 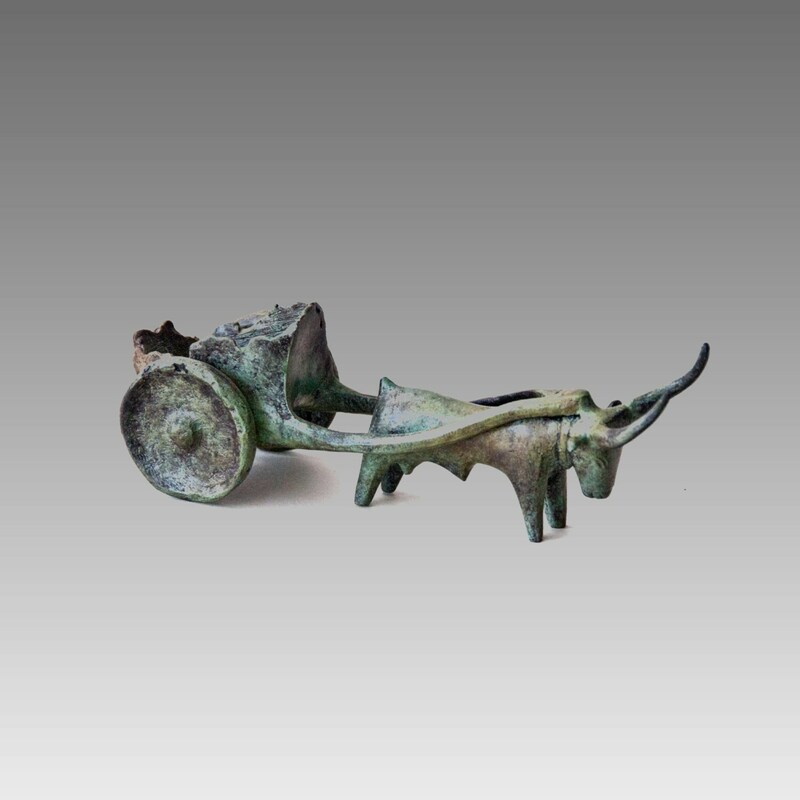 Height: 2.75 inches / 7 cm approx. 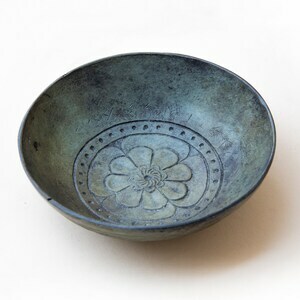 Width: 2.75 inches / 7 cm approx. 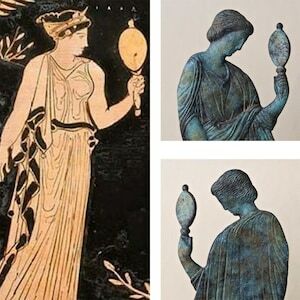 Length: 8.30 inches / 21 cm approx. 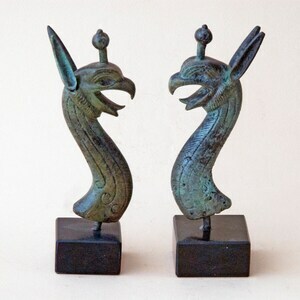 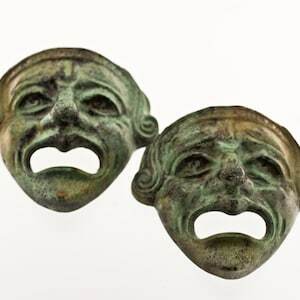 and verdigris patina varies slightly.